Fun in the sun and perfect for Summer these sets are guaranteed to cause a splash for your promotion. Containing a number of Summer related items these packs are the perfect promotional tool to get your logo seen. 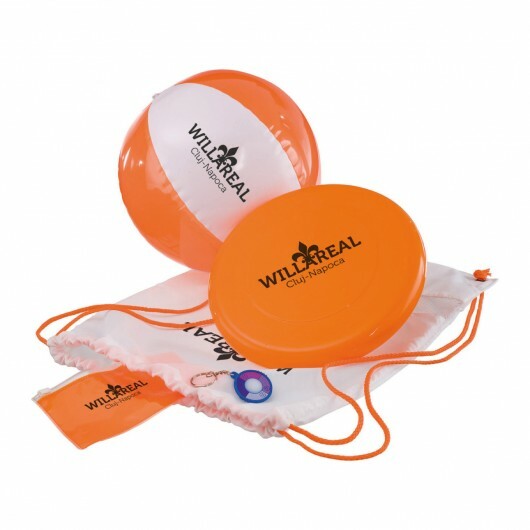 It includes a rucksack filled with a frisbee, beach ball, waterproof pouch and a UV keyring that indicates the UV strength to help protect your skin. Perfect for the beach, park or picnics. Please note: decoration is located on the bag only (Additional locations is extra).